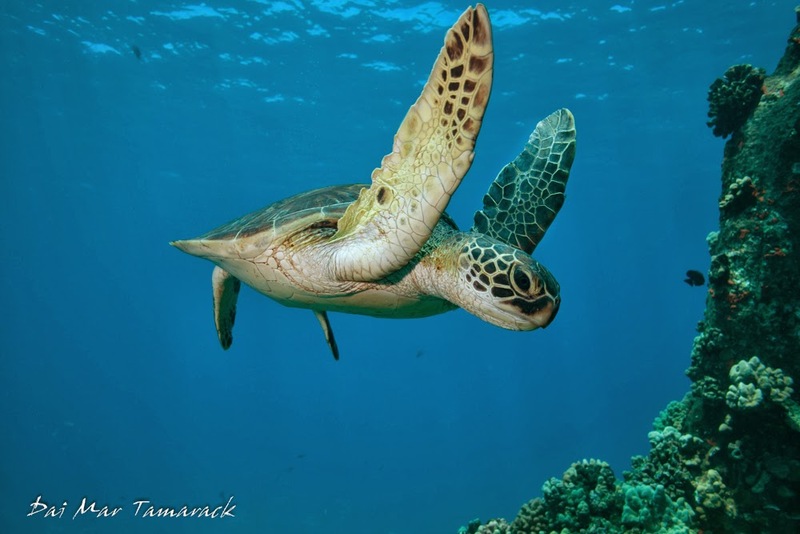 Snorkeling or scuba diving with sea turtles is one of the must do things here in Maui. 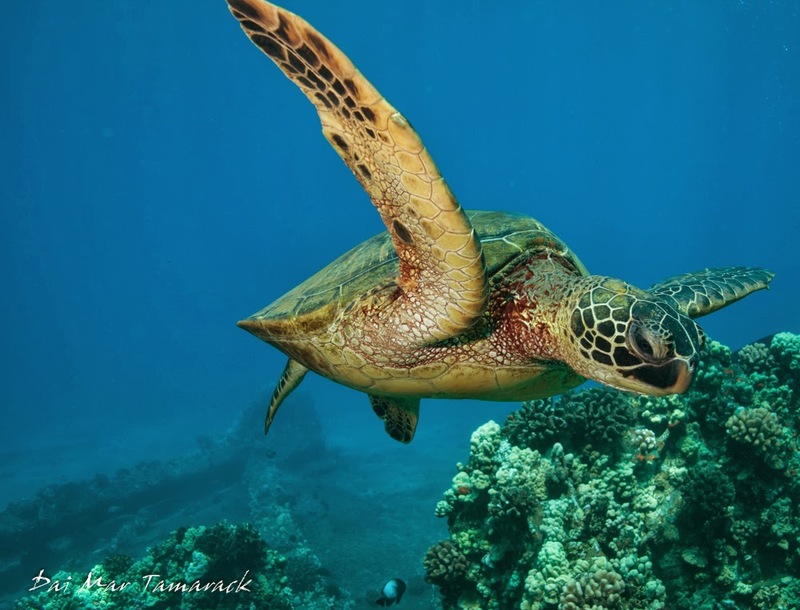 Protected status has given these Hawaiian green sea turtles a chance to recover in numbers and now they can be found at most dive and snorkel sites. 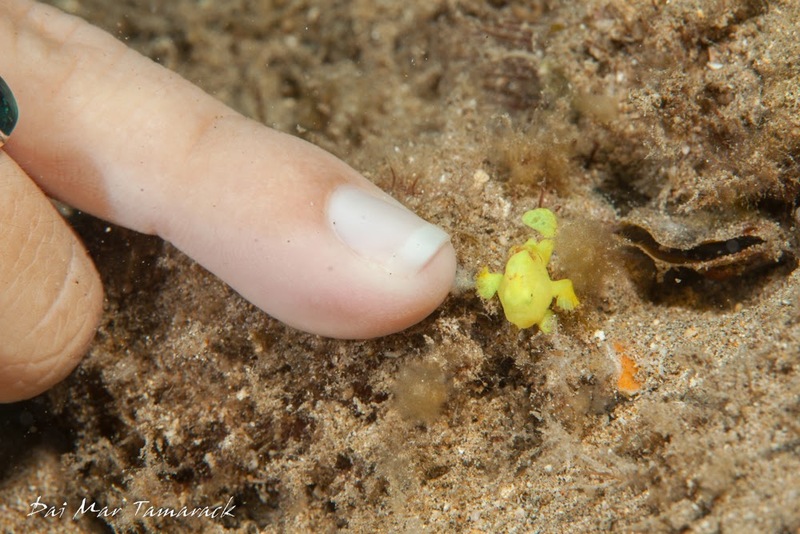 Sometimes you encounter them in the shallows, scraping algae off the rocks. 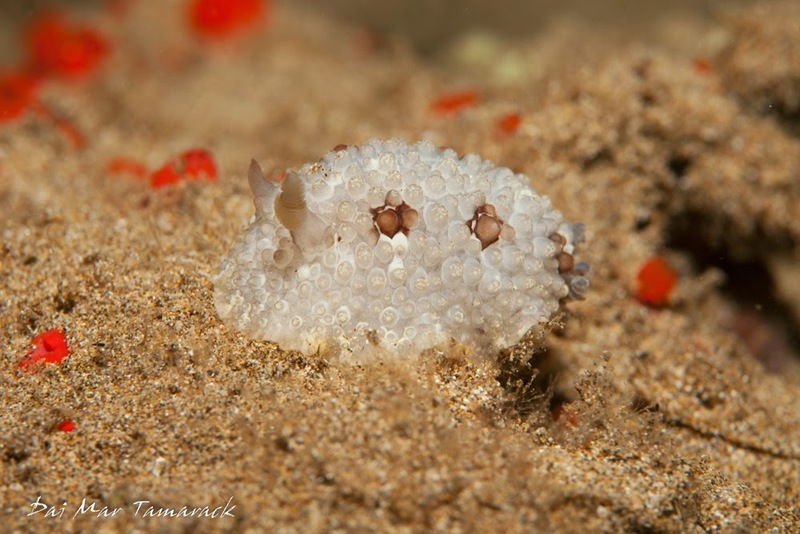 Other times you see them resting or having their shell cleaned by fish down on the bottom of the reef. And sometimes it seems like a turtle highway as turtles cruise by on their way to somewhere in mid water. They have become one of my favorite photography subjects. Some seem to be easier to work with than others, just like human models. But when you find the right turtle who doesn't mind showing off a bit the results can be quite amazing. 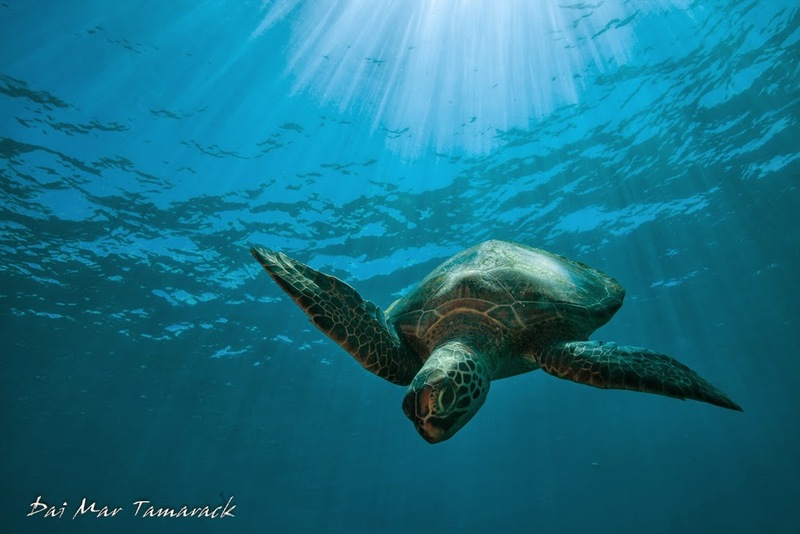 Add some colorful reef and clear water and you have a recipe for some nice fine art sea turtle images. 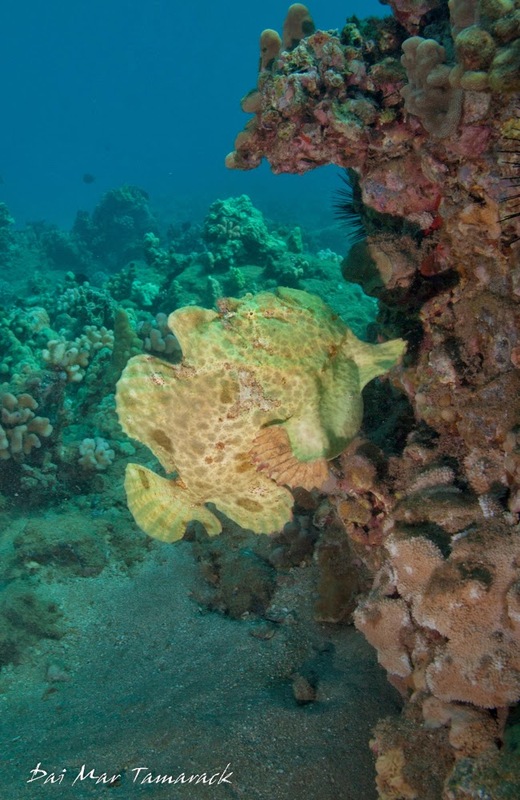 Frogfish and nudibranchs were both high on the list of animals to find while on our scuba dive vacation to Maui. 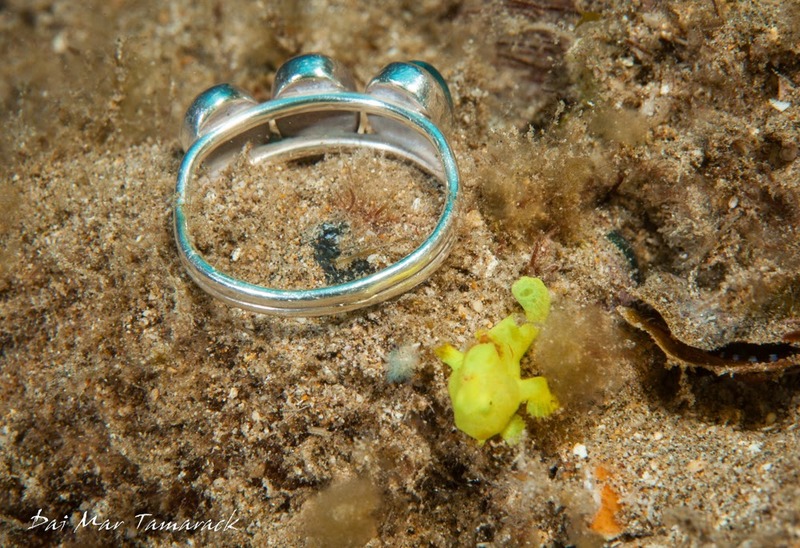 We checked some of our favorite dive sights like mala pier, five graves, and white rock, as well as doing a bit of muck diving and it paid off with 4 frogfish and countless nudibranchs. 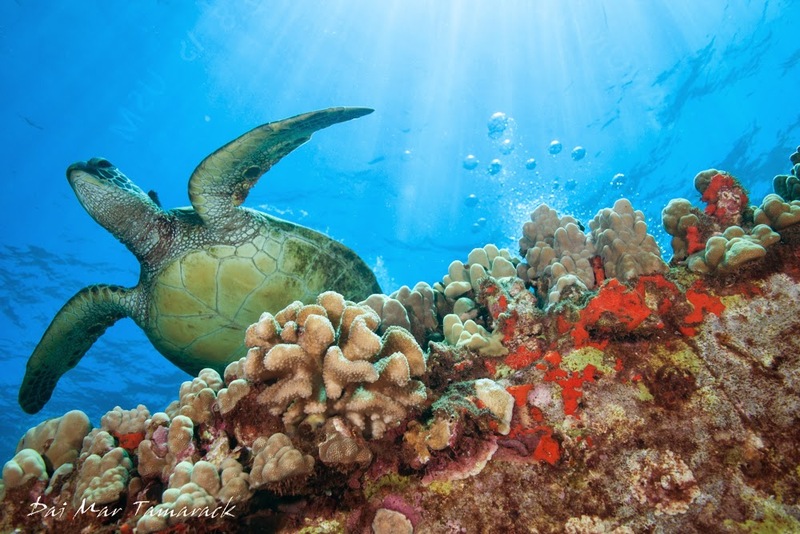 I love diving in Maui. 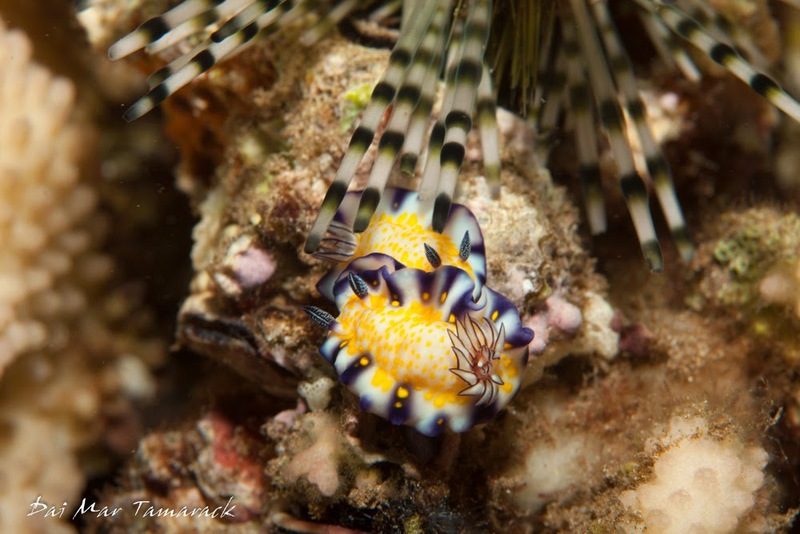 Maui can be an underwater macro photographers dream. 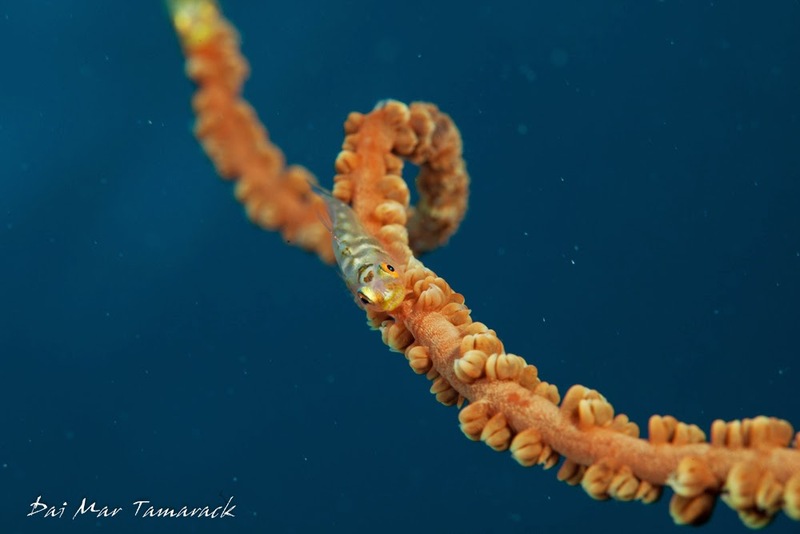 Tiny gobies like the one above live on wire coral on the fringes of the reef. 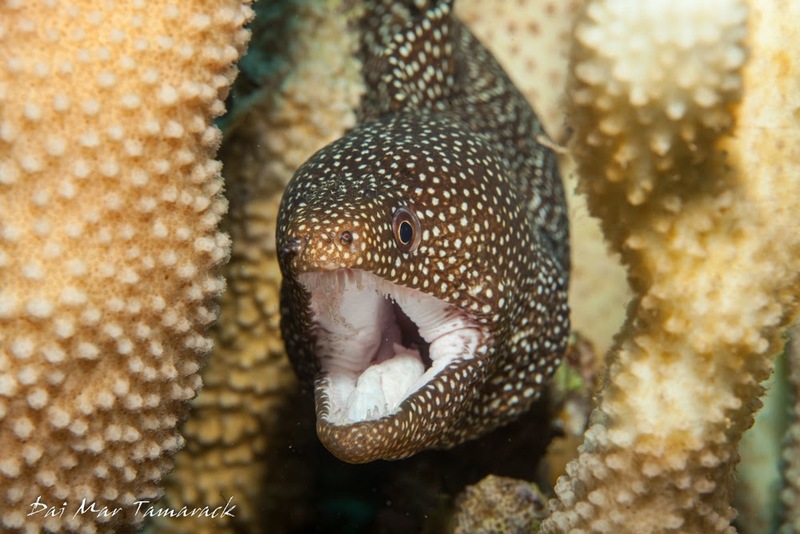 Moray eels of many shapes and patterns can be found hidden among the cracks and even within the branches of live coral. 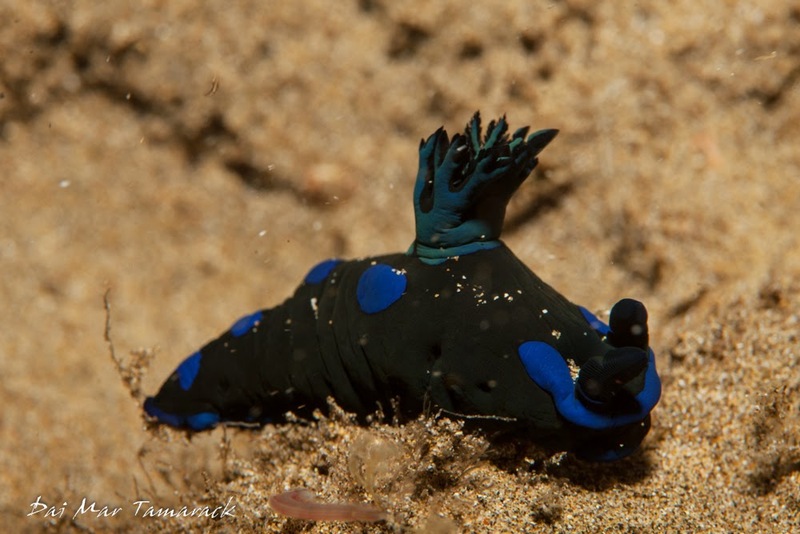 Nighttime brings out the unusual critters like flatworms, rarely seen nudibranchs, and squid. 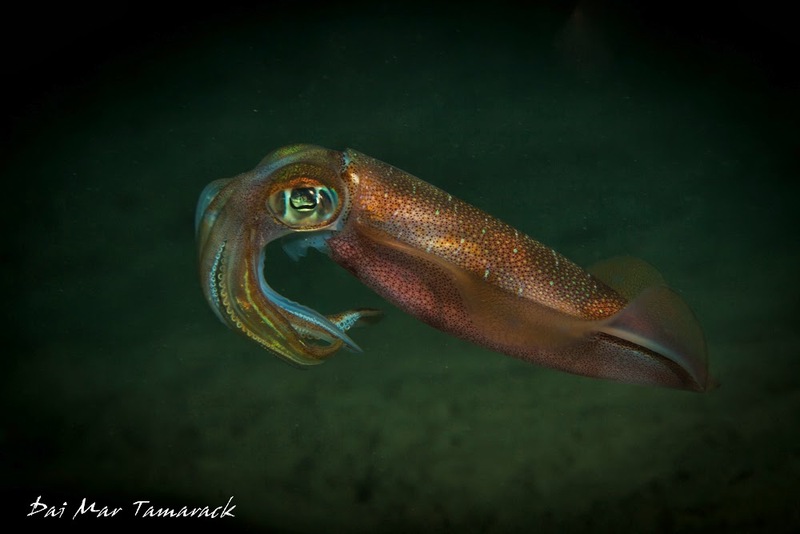 This big fin squid pictured on the right is the biggest one Heidi and I have ever seen in Hawaii. 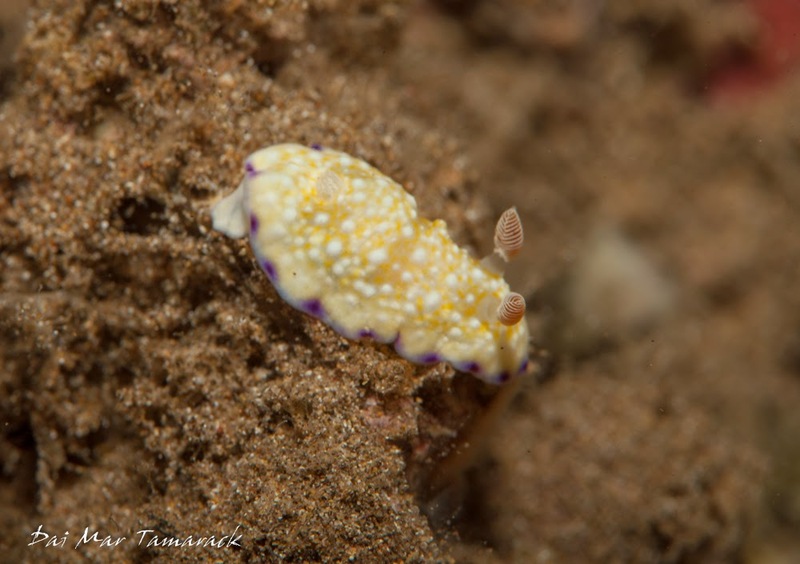 And of course no trip to Maui would be complete without a few nudibranch hunts. We found some old favorites and even a couple of new ones. 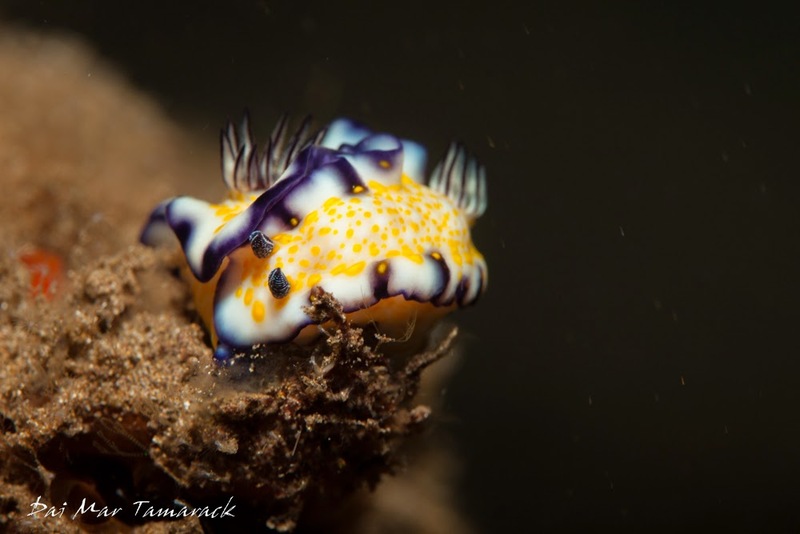 The colors and patterns of these sea slugs make them a favorite of macro photographers. 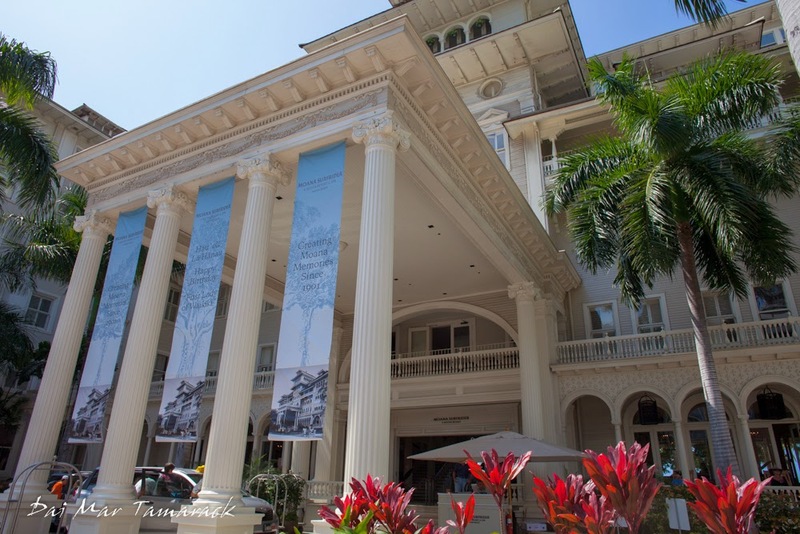 Welcome back to Maui! 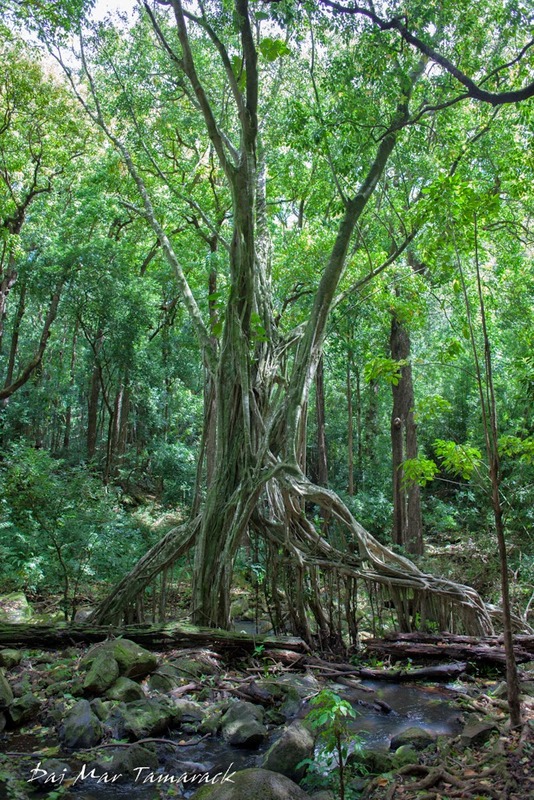 Honolua style. Back in Maui for Heidi's spring break we snuck in a quick trip with friends up the west coast to the fabled wave at Honolua Bay. We weren't sure what the waves were going to look like but we took long boards just in case it was small. It wasn't. After a few small waves out at the point, we paddled over to the cave where the waves looked a bit bigger. Turns out we could have used boards about half this size but we charged nontheless. We put those boards to the test and came out smiling. All three of us did our best to keep Heidi busy on the camera. 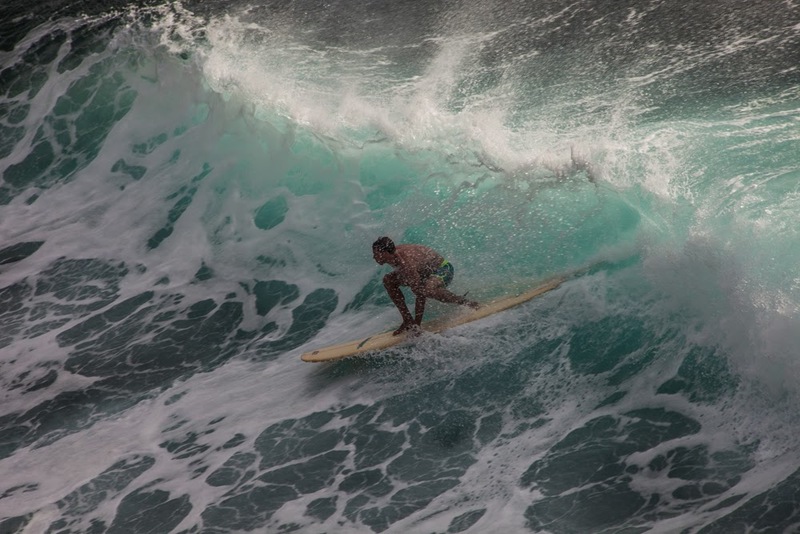 She was perched high above the cave about sixty feet over all the surfers. Some of the longer waves took us right under her giving the shots an almost aerial feel. This provided a great opportunity to show off the steepness of some of the waves. It wasn't always easy making the drops with longboards but we did our best and I even got a barrel for my efforts. 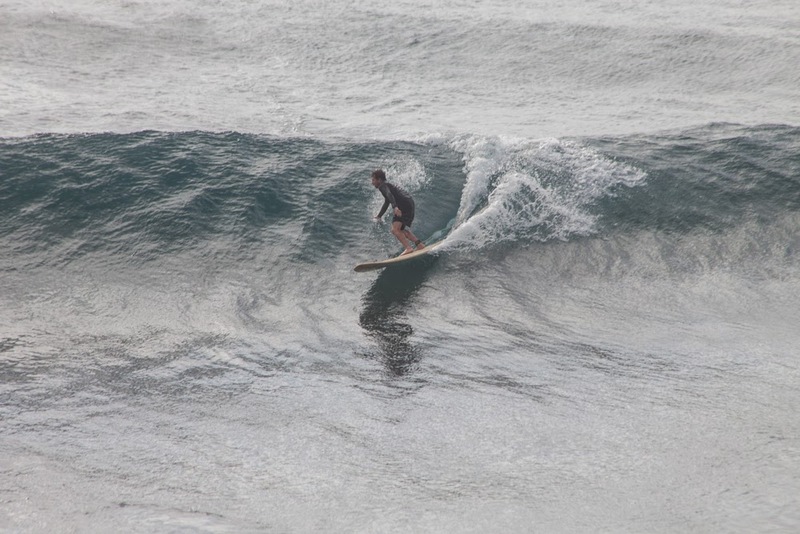 It may be the last time I get to surf a winter north swell in Honolua Bay for a while but it should hold me over. The vast 314ft-long Vava II - which costs more than £250,000 just to fill the fuel tanks - was commissioned for former Miss UK Kirsty Bertarelli, 40, by her billionaire husband Ernesto, 46. 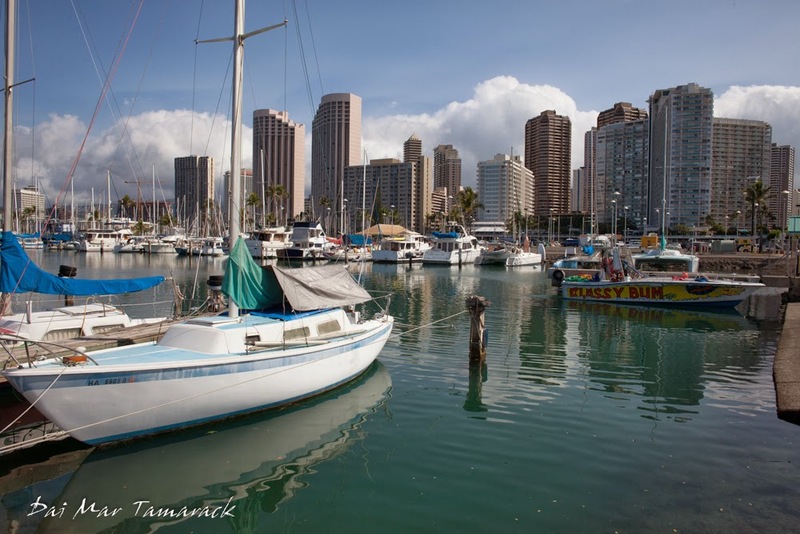 With a sunny morning in Waikiki I decided to go for a stroll and see what picture opportunities open up. 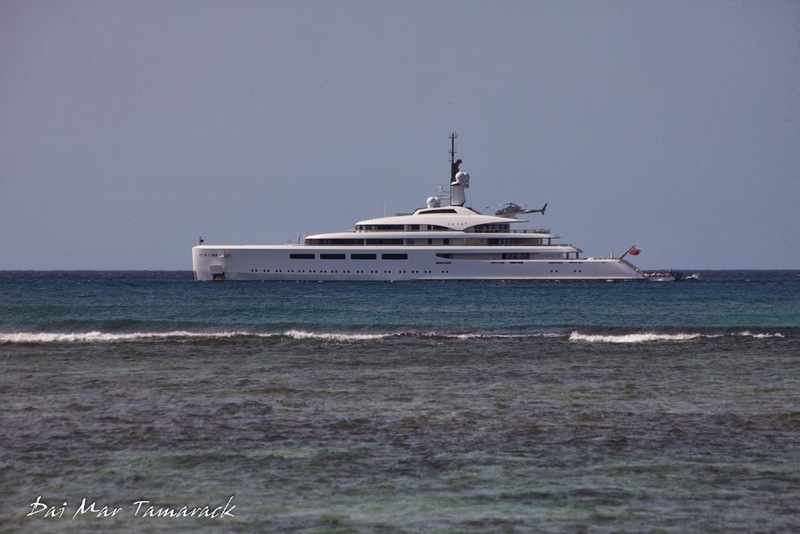 The beach was packed with tourists enjoying spring break out of the snow, and some massive yachts sat just offshore in the calm leeward waters. 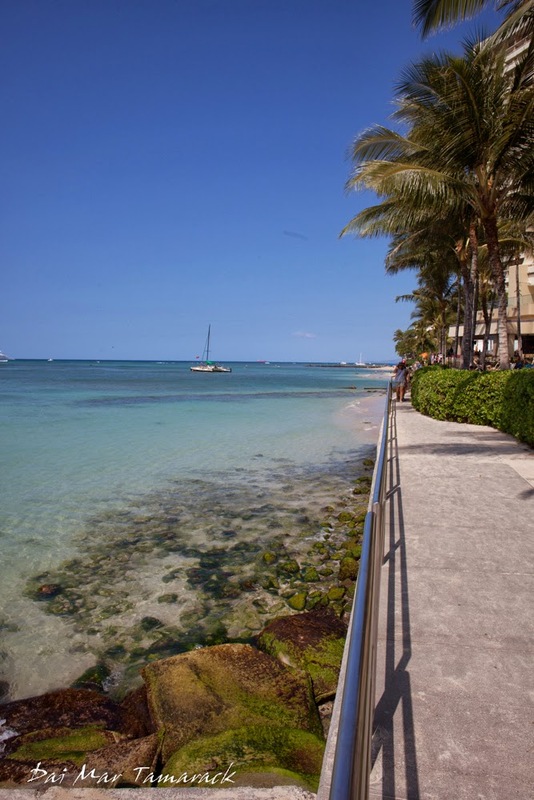 With a few different lenses I think a walking photo safari through Waikiki could be a great way to while away an afternoon. 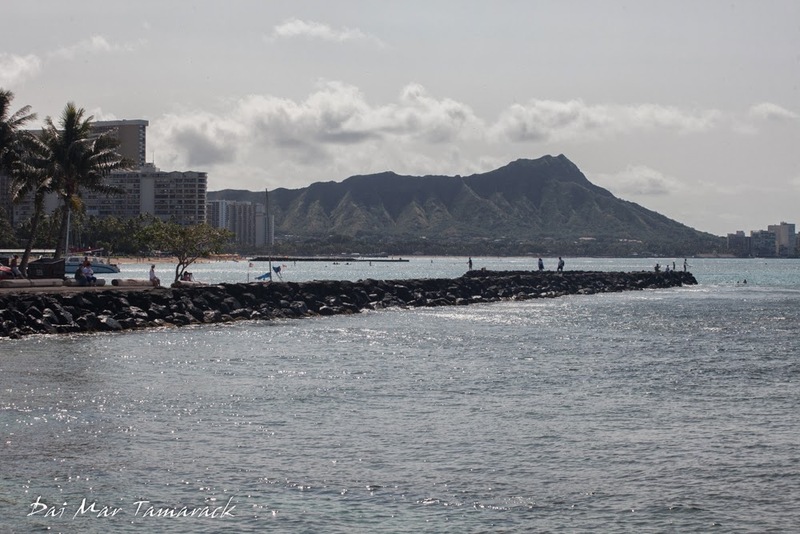 I would suggest early morning as the sun is rising over Diamond Head crater or sunset time as the setting sun lights up the clouds over the sparkling Pacific Ocean. 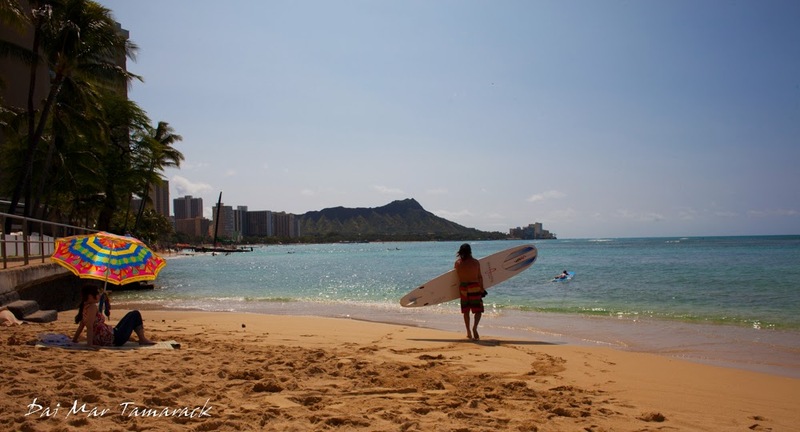 You might even get lucky and catch some of the Friday night fireworks or some surfers wave sliding until dark. But first things first...parking. For those secrets my lips are more tightly sealed. 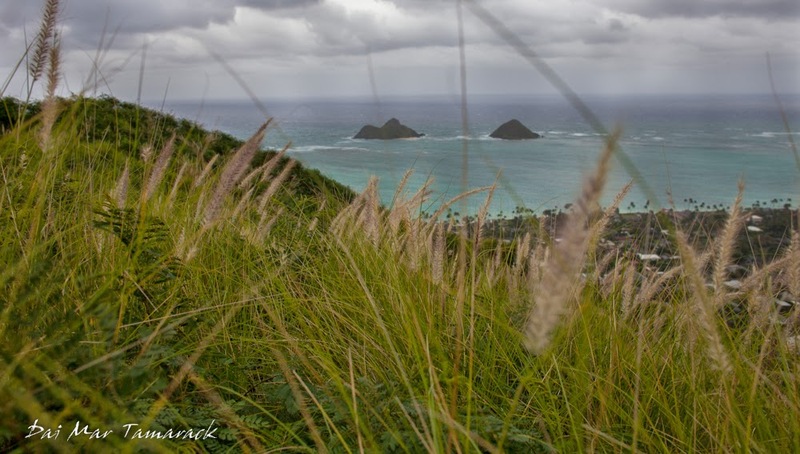 The last few days have been windy and rainy here in the Hawaiian Islands. 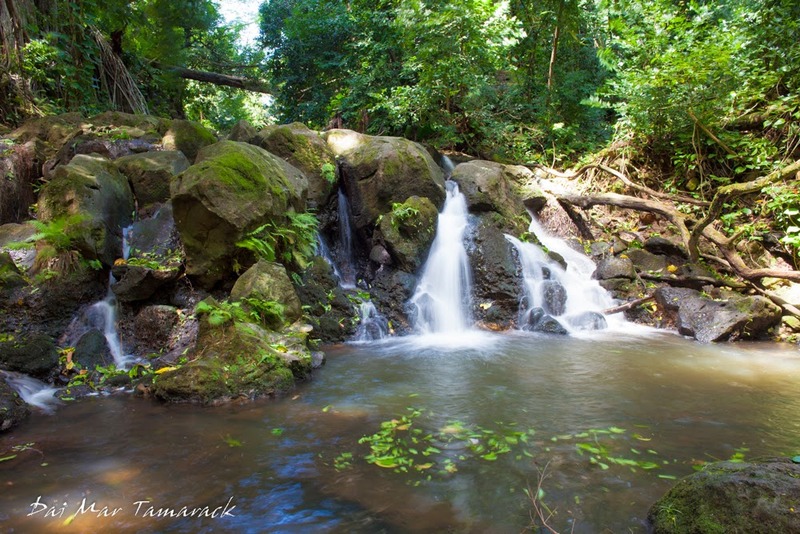 I have seen numerous waterfalls cascading off the cliffs deep within the Ko'olau mountain range thanks to the heavy rainfall. I've also been in an exploratory and adventurous mindset recently. So with the afternoon off I set out to find some waterfalls close to home. 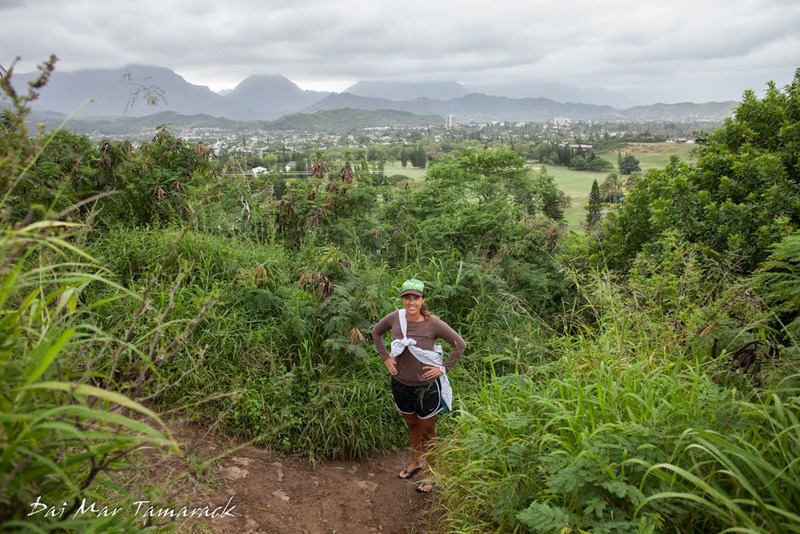 I had my sights set on a trail heading deep into Nuuanu Valley, the next valley over from my home valley of Pauoa. As I drove on the outskirts of the jungle towards the trail head I passed a few parked cars on the side of the road. 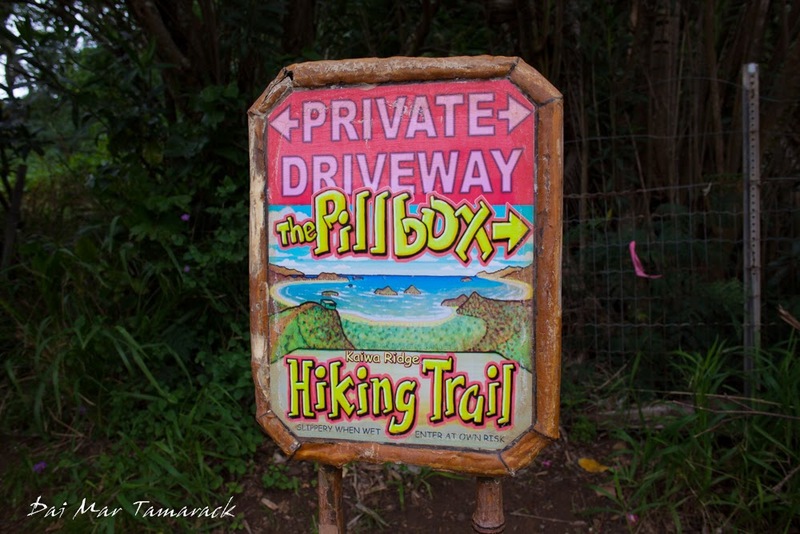 I saw a trail leading into the jungle and a official trail sign as well. So I pulled over and decided to check it out. 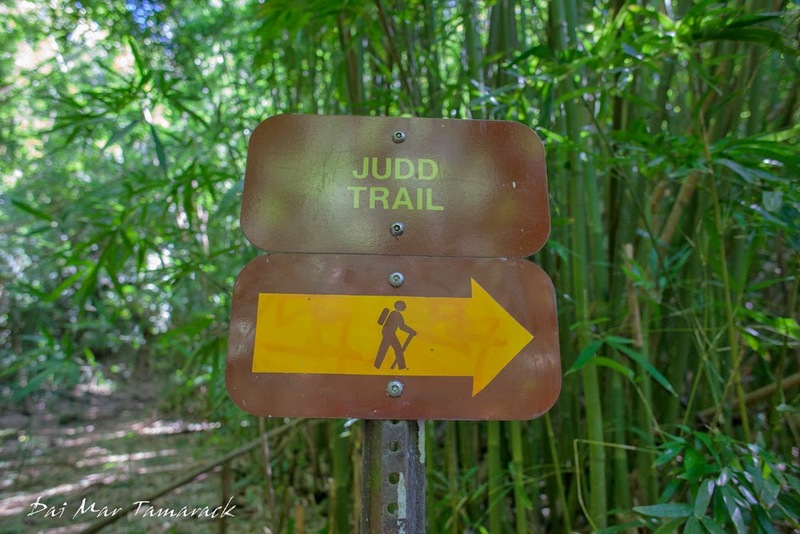 The Judd trail, which this turned out to be, connects to a ridge line hike that can lead past Manoa. 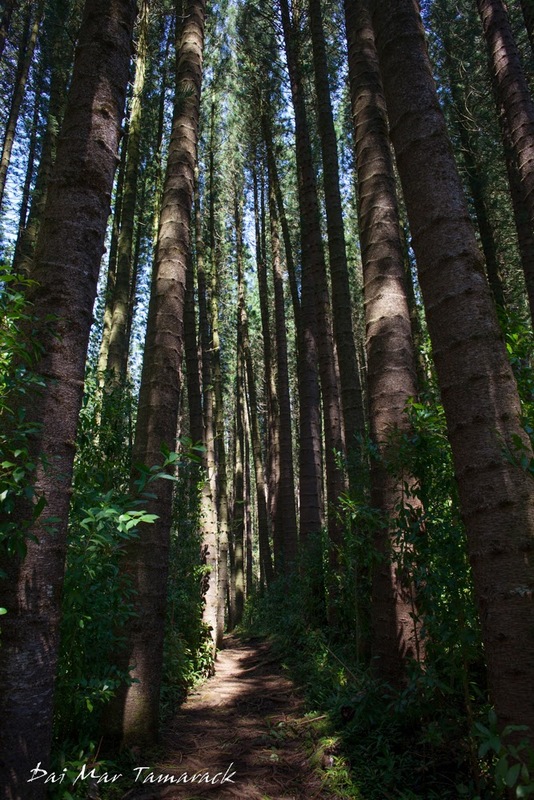 But it also provides a short forty-five minute loop hike through very interesting forest. I actually liked the very beginning part next to the road the most. 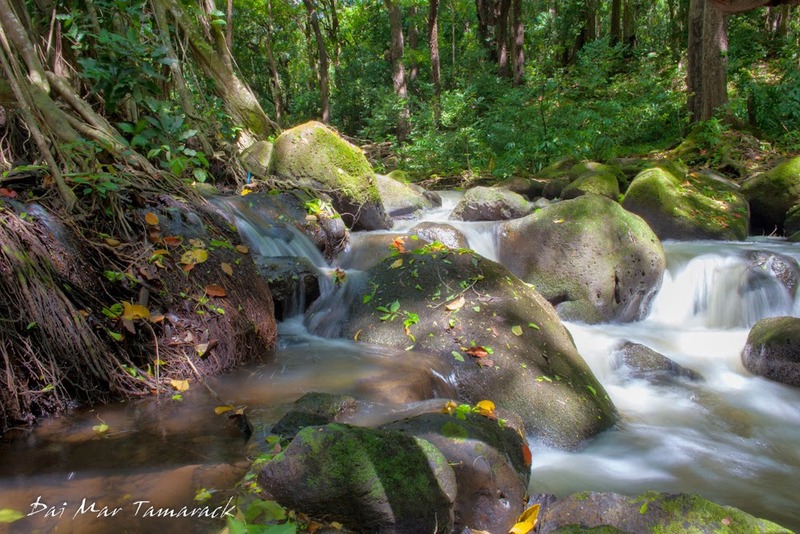 Here a running stream tumbled down small waterfalls, past huge banyan trees, and around boulders. 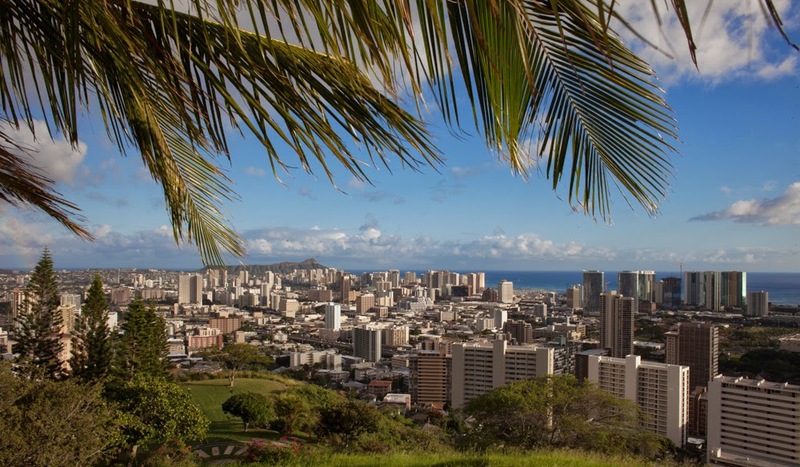 Next you enter a bamboo grove, followed by hillsides monocultured with cook island pines and other non native trees. The monocultures made it very interesting, especially as you transferred from one tree to the next. It looked like a reforestation had occurred at some point. 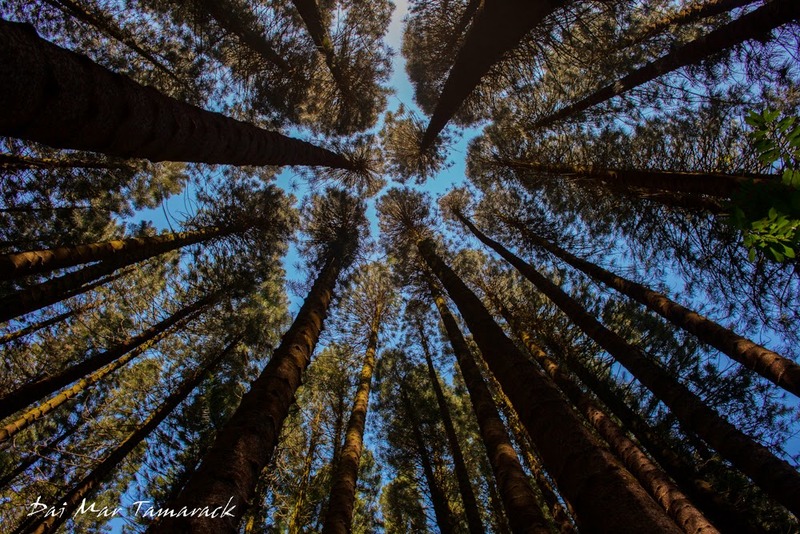 Most likely these trees were all brought in and planted in the early 1900's when the Hawaii Sugar Planters Association began revegetating the watersheds to save their precious ground water used in irrigation. Until then free ranging cows had eaten down the understory so much that erosion, floods, and sedimentation had really taken its toll. I did branch off from the main trail to follow a small hunters trail up a ridge. It got so steep at a few points that I had to hold onto bamboo to help climb farther up. 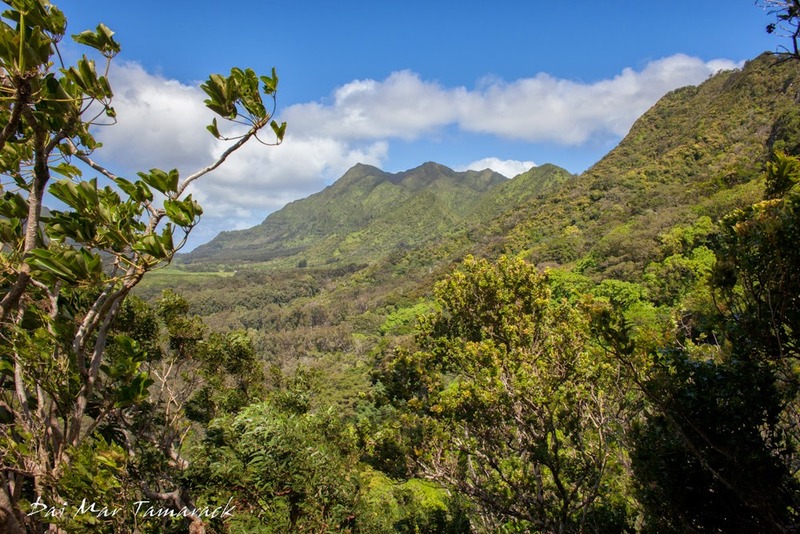 I could hear what sounded like cars whizzing by up ahead so I thought I must be near the Pali Highway, but when I crested the hill I realized it was actually updrafts whooshing up the hill at 50 to 60 miles per hour. I am sure glad it wasn't blowing the other direction or I would have flown off the cliff. 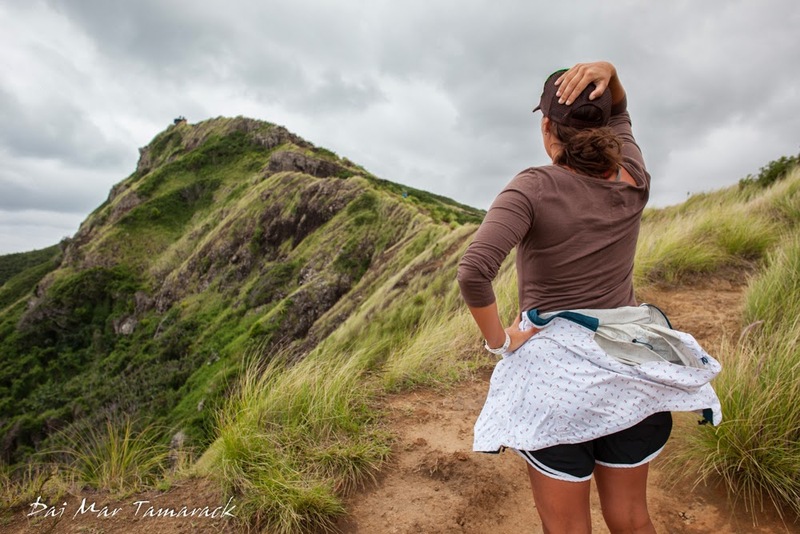 It was worth the climb for the incredible view of Nuuanu valley all the way back to where the Pali Highway enters the tunnel through the Ko'olau Range. 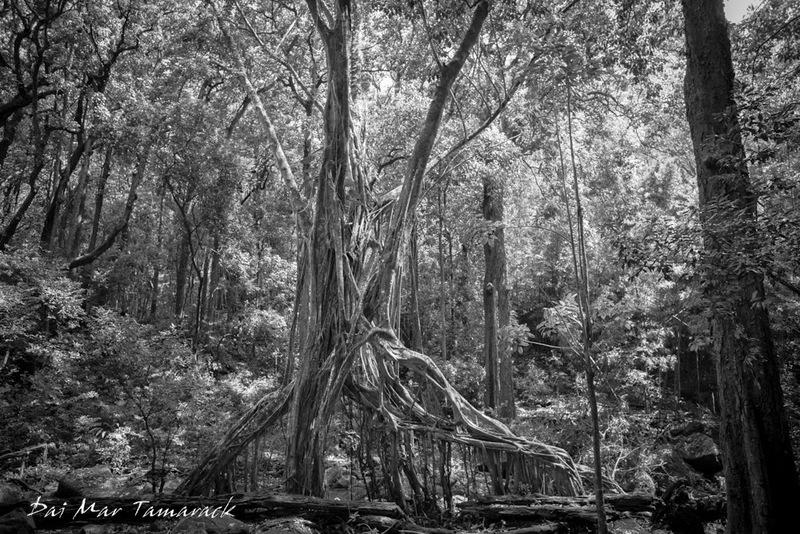 There were no buildings, no people, just little trails that hunters and ancient Hawaiians' have used and new sights waiting to be explored. Unfortunately I didn't have all day, so after taking in this picture and making sure my sunglasses didn't fly off my head I slid back down the mountain and regained the Judd trail. 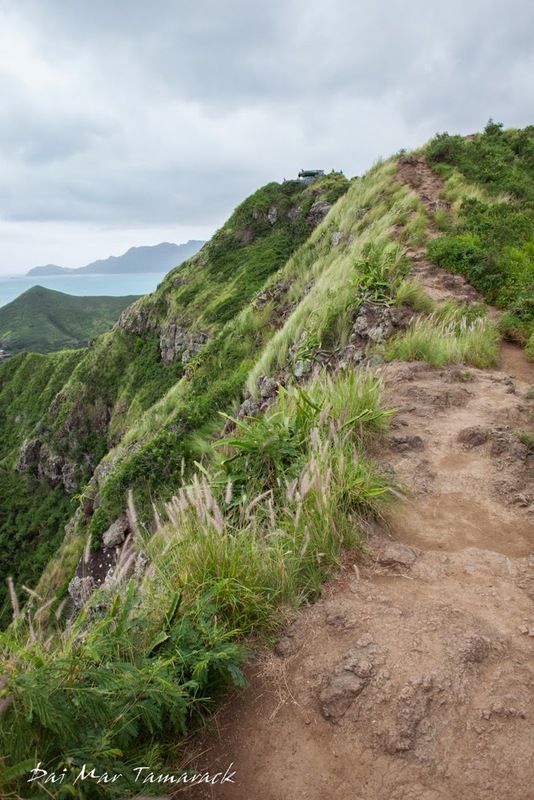 The entrance to this popular east side Oahu hike can be found near the private golf course just up from Lanikai town. A bright and colorful sign post points you in the right direction and away from private driveways. 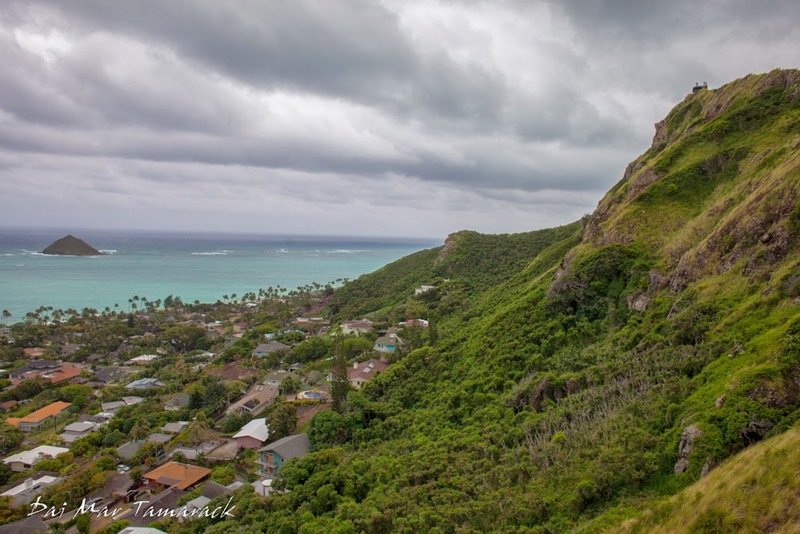 I have often looked up from Lanikai beach and seen people working their way up this ridge line to a series of old military pillboxes. 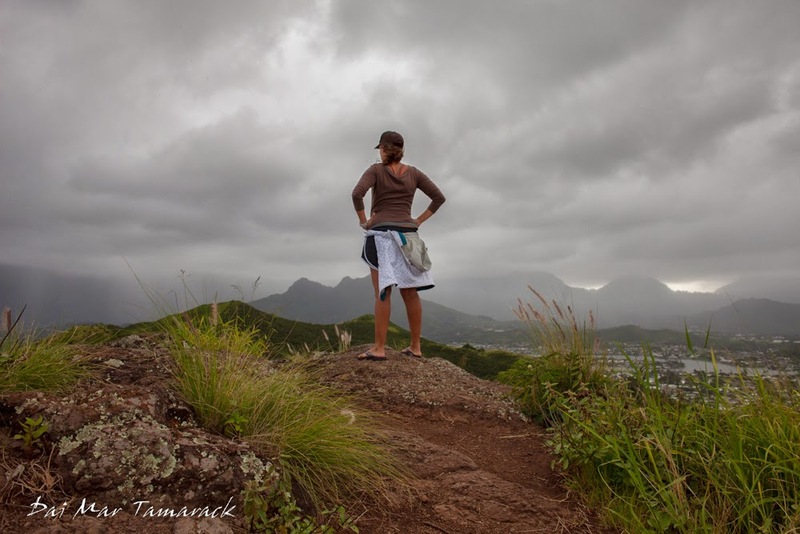 We finally had a windy, rainy day with no chance for surf of scuba so we decided to tackle this hike. It turned out to be a relatively short hike, with some steep uphill sections, but overall not too tough. I think at a slow pace even families with small kids could do it. There are some very steep drop offs to one side of the trail but luckily the wind was blasting onshore and pushing us away from the dropoff. 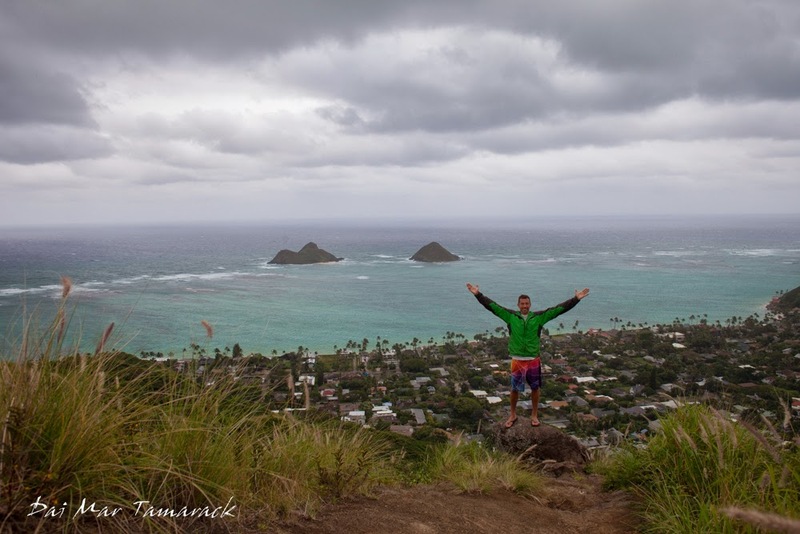 The view of Lanikai beach and the Moke Islands just offshore was breathtaking. It also looks like it would be a perfect spot for watching the sun rise. Hold on to your hats, its gonna be windy! 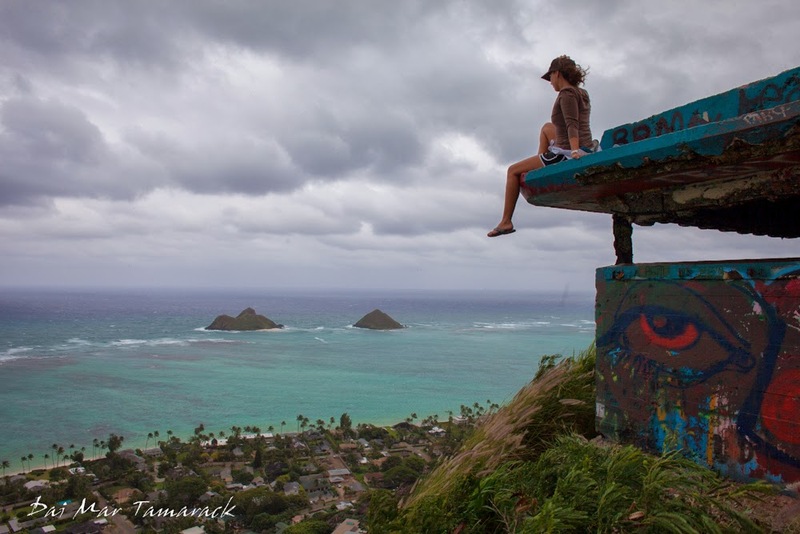 The pillboxes themselves are left over from the military stronghold days of the early 40's. Lookouts would have been stationed here to warn of any Japanese invasion. Now they provide a nice resting spot and a canvas for local graffiti artists. Heidi wasted no time in climbing to the top for the ultimate overlook. 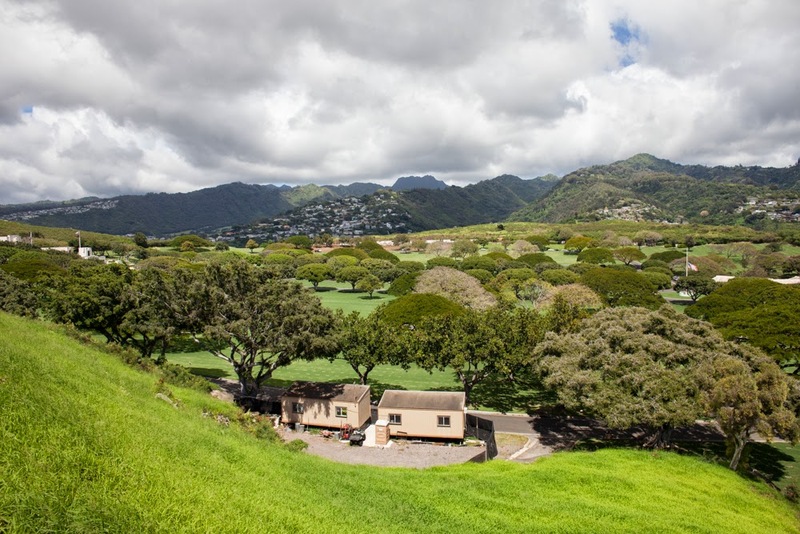 There are three pillboxes along this ridge line but most people stop at the second. After that the trail meanders away from the coast. We made it a little farther but decided to come back another day when we had time to explore it fully. After all the times of looking up at this hike from sea level I felt a real sense of accomplishment for finally checking it off the list. 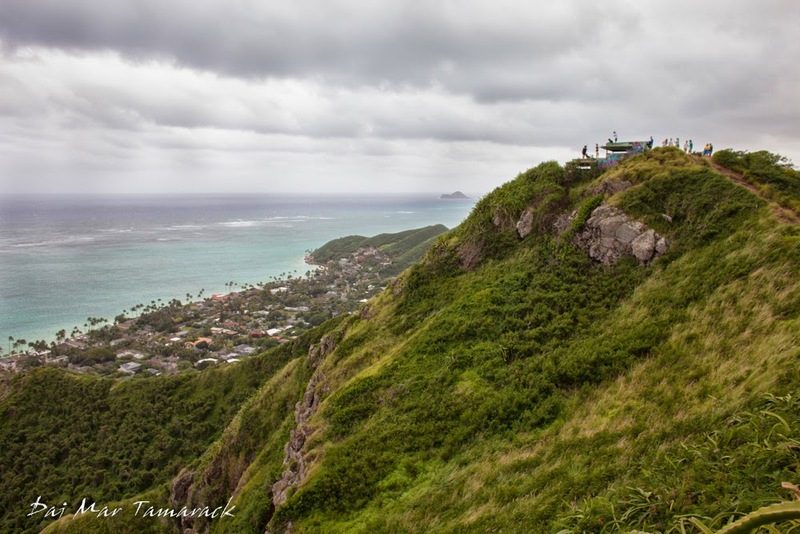 It won't be too long before I visit the Lanikai Pillbox hike again. 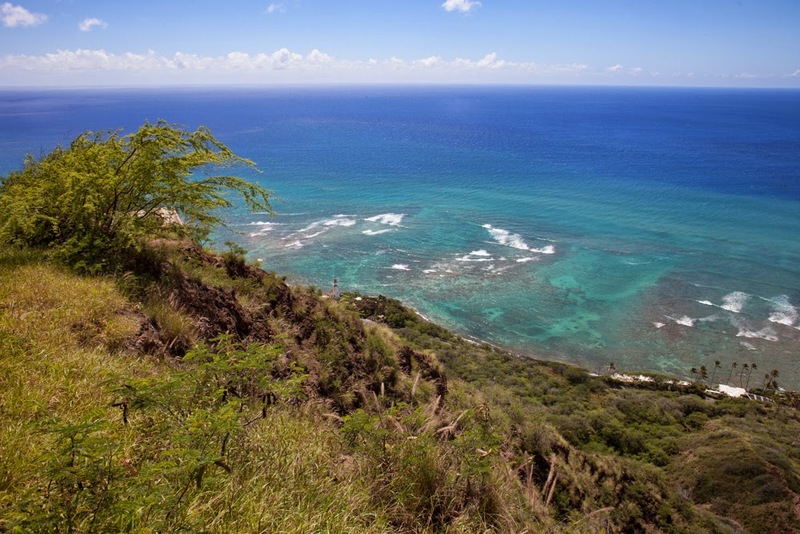 The Hawaiian islands are amazing places for geologists to study. The islands are all volcanic, and formed over a hot spot in the middle of the ocean thousands of miles from the nearest land mass. 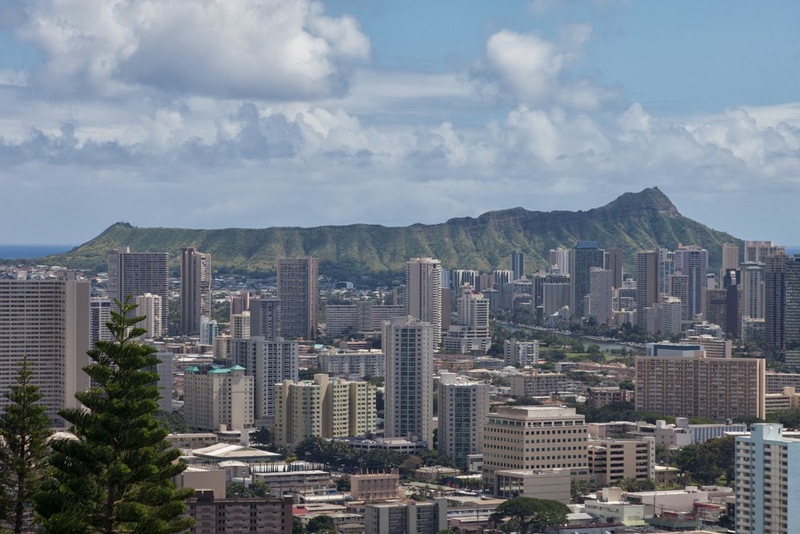 These huge shield volcanoes are eroded over time and become weathered green peaks like those seen on Kauai and Oahu. Sometimes after the main shield forming eruptions have ceased, these volcanoes go through a rejuvenation eruption. 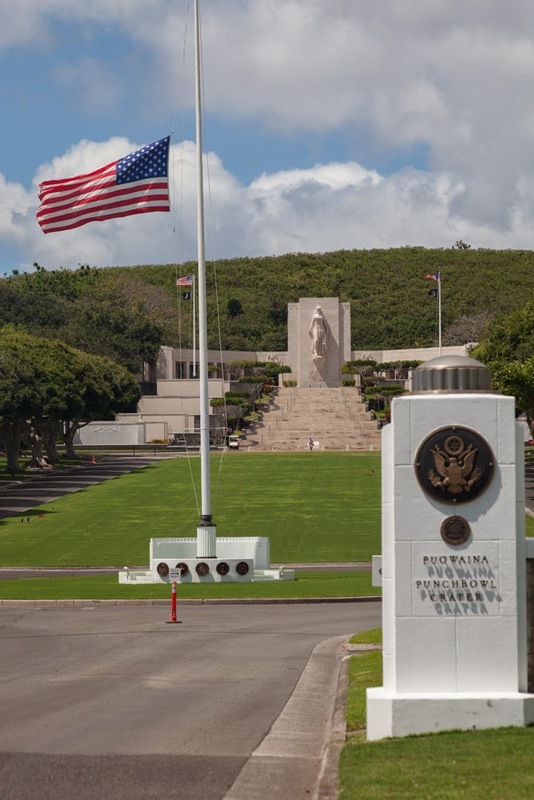 These resurgent events formed some of the most well known formations on Oahu. 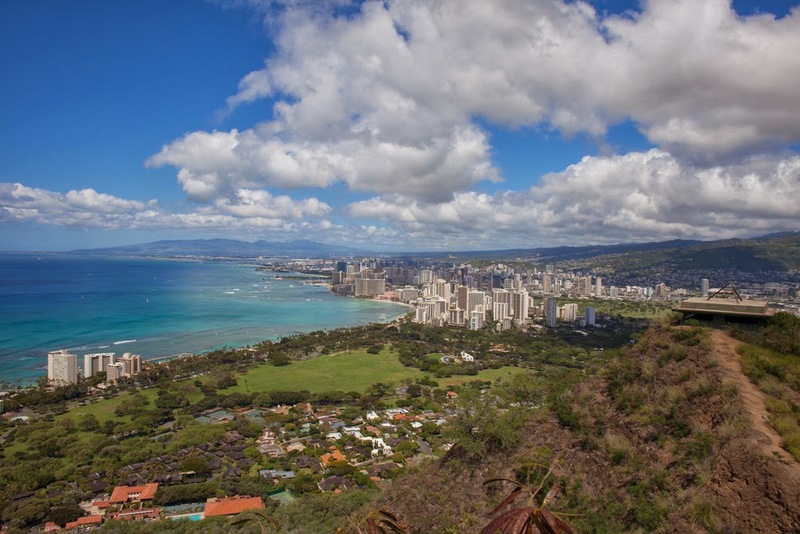 Diamond Head and Punchbowl Crater are two formations that occurred a million years after the main volcano of Ko'olau became inactive. And both are examples of tuff cones, formed when fissures opened up under the reef which allowed magma to come into contact with the shallow ocean water. This built up steam which resulted in a huge explosion, sending pumice, ash, and limestone thousands of feet up. The particulate then fell back down around the vent creating almost perfect circular caters. 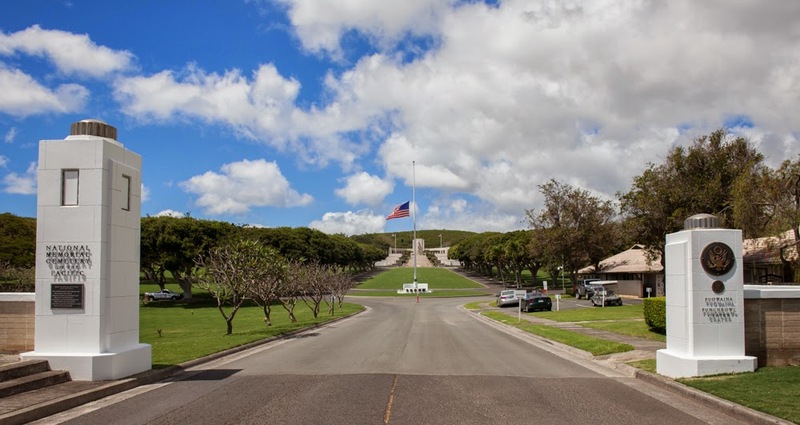 Diamond Head housed a military base from 1906-1960's, while Punchbowl Crater became a military memorial cemetery. Both craters tower above the city scape around them, and both provide a bastion of peace inside their walls. From on top of their rims you can easily spot the other crater looming in the distance. It is a sobering reminder that you can never know all there is to know about volcanoes and if or when one might erupt again.